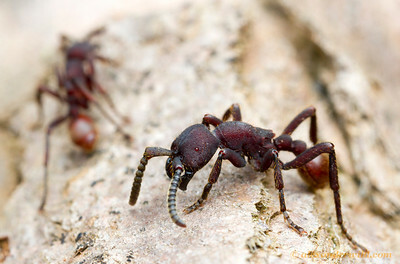 is the most heavily armored of the army ants. 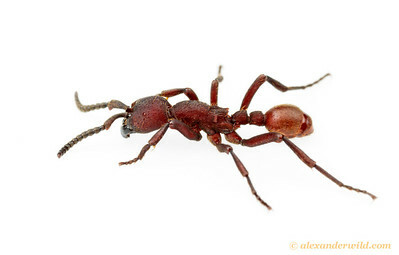 This genus is found from south Texas to northern Argentina. 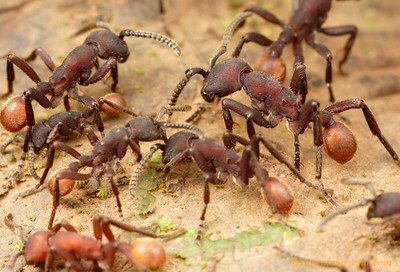 Like all army ants it is nomadic, without permanent nests. 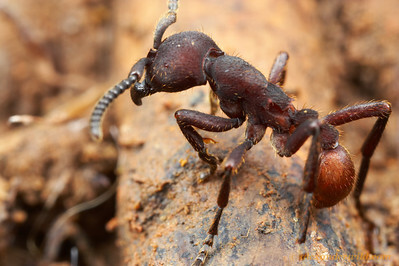 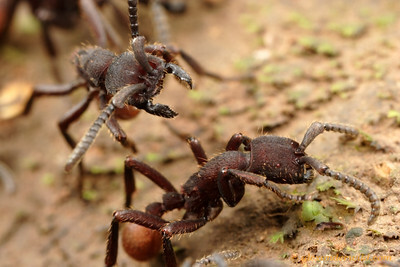 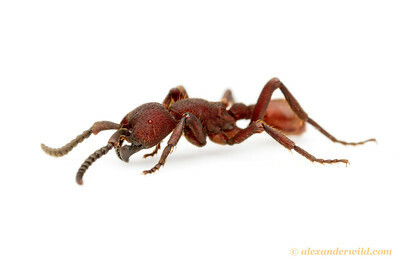 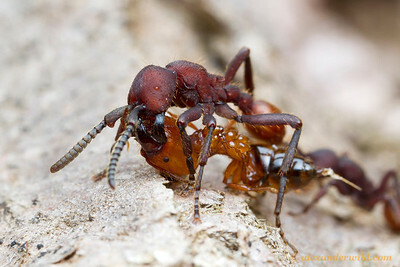 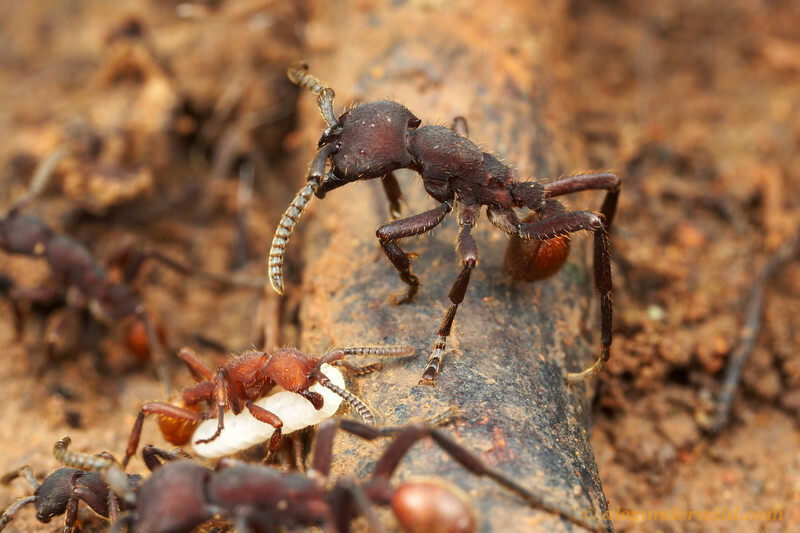 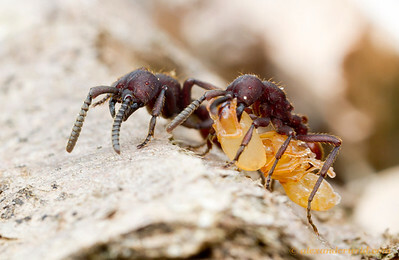 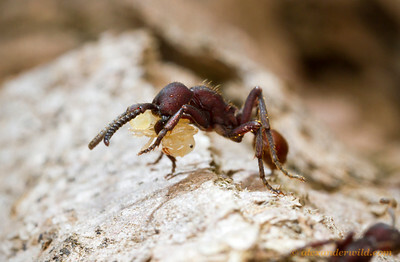 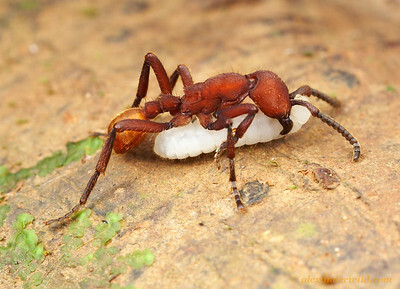 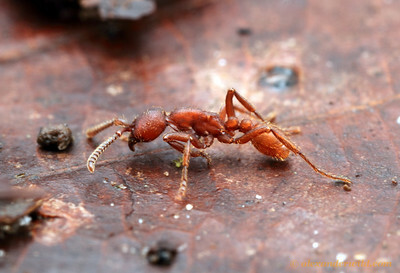 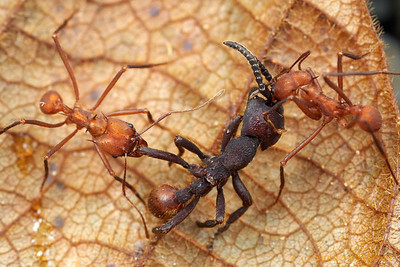 Nomamyrmex preys on the brood of other ant species, and is the only ant that attacks mature colonies of Atta leafcutters.